Exposure to airborne mold spores can occur through inhalation, ingestion or skin contact, and can result in symptoms including dermatitis, cough, rhinitis, nose bleeds, cold and flu symptoms, headache, general malaise and fever. These can lead to uncomfortable living situations for some if concentrations are present in the air or on surfaces. Pathogenic Molds - Pathogenic molds usually produce some type of infection. They can cause serious health effects in persons with suppressed immune systems. Healthy people can usually resist infection by these organisms. However, in some cases, high exposure can cause hypersensitivity and infection with those who are seemingly healthy. Toxigenic Molds - While a toxic mold is living and growing, toxic metabolites called mycotoxins are produced. Exposure to this chemical compound by other organisms can be harmful. The health effects of mycotoxin exposure to humans can vary, ranging from short-term bodily irritation and allergenic reaction to lung infection, a weakened immune system, cancer or even death. Initial awareness of adverse health effects from exposure to mycotoxins was raised by a mid-1990's study from Cleveland, Ohio, involving infants who had died from sudden and unexplained pulmonary hemorrhage (bleeding of the lungs). Upon investigation, researchers found that the infants resided in homes with high levels of the mold Stachybotrysatra were prone to serious health effects. Therefore, when the presence of toxigenic mold is suspected within a property, inspection and testing is advised. Furthermore, when such mold and/or mycotoxins are identified, remedial action is highly recommended. Mold and health concerns go hand in hand. The medical and legal communities are now taking mold contamination very seriously. There are a number of documented cases of health effects and physical problems resulting from indoor exposure to mold and mold spores. Mold related illnesses can result from high level/short-term exposures and lower level/long-term exposures. The most common health effects or symptoms reported from exposure to indoor mold environments are a chronic clearing of the throat, runny nose, eye irritation, cough, congestion and aggravation of asthma — allergic reactions similar to cat allergies — headache and fatigue. Mold related health effects are often reported as feeling like you have a cold but you don't. Eventually it may feel like you have the flu but you don't. Many of our customers report feeling better when they leave their home for a week or more. Once they arrive back within a day or so they are ill again. With so much overwhelming evidence to support the dangers of exposure to mold, mold testing is the first step in properly assessing whether an abnormal or elevated mold condition exists. 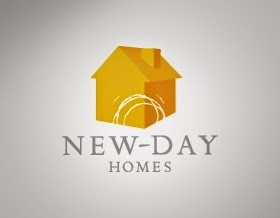 New Day Homes specializes in Mold Inspections in the Magnolia Texas area area. More and more, mold resistant building materials are beginning to appear on the market. In addition to helping prevent mold growth, several of these materials are also being certified by institutions monitoring environmental impact, such as the GREENGUARD Environmental Institute and the LEED Green Building Rating System. Here is a list of ten great mold resistant products to use in your next construction adventure. 1. Mold Resistant Wood: Another great choice for preventing mold is mold resistant wood. Companies like Frame-Guard® manufacture wood that has been treated with anti-mold chemicals. In addition to staving off mold, this product also keeps termites away. Another great attribute of this product is that Frame-Guard® wood is certified by Greenguard to not release any harmful emissions into the air. 2. Mold Resistant Insulation: Even though fiberglass is inherently resistant to mold, there are companies producing insulation that has been treated with a fungicide. Companies like Nu-Wool manufacture a Premium Cellulose Insulation that is one of the few insulation products which contains a fungicide registered by the Environmental Protection Agency (EPA). In addition, the fungicide being used by Nu Wool is low in toxicity making it a safer choice when considering treated insulation. 3. Mold Resistant Drywall: This type of drywall has fiberglass facing instead of the traditional paper facing. The use of fiberglass removes the “organic material” aspect from the drywall (mold feeds on organic material). Even though mold resistant drywall does not completely prevent mold growth, it greatly reduces occurrence. Top mold resistant drywall brands include U.S. Gypsum (Sheetrock® Brand Humitek®) and Georgia Pacific (DensArmor® Plus). 4. Mold Resistant Drywall Tape: Providing more protection against mold than paper tape, mold resistant drywall tape is the ideal tape to compliment to mold resistant paperless drywall market. One brand, FibaTape® a, produces a tape that is covered by an anti-microbial coating; their tape achieved a perfect 10 rating on the ASTM D3273 mold test. 5. Mold Resistant Paint: More and more, there are paints being offered that contain fungicides. The point of using a mold resistant paint is to discourage the growth of mold on the paint surface (the wall). However, it should be noted that if there is already mold present before the paint is applies, the paint will not kill the mold; any mold must be removed at its source before paint is applied. An example of a great mold resistant paint is “Perma-White®” by Zinsser. It is guaranteed to prevent the growth of mold on the paint film for at least 5 years as shown in independent laboratory tests. 6. Mold resistant Stucco: Mold conscious builders now have a choice when it comes to exterior finishes. Mold resistant Stucco, such as Amerimix® Water, Mold & Mildew Resistant, offers excellent protection against mold and offers double-duty protection against water damage. Mold resistant Stucco is pre-blended with a waterproofing and anti-microbial product, and is easily found at stores like Home Depot. 7. Mold Resistant Carpet: Carpets made of Olefin (polypropylene) fibers or acrylic fibers offer resistance to mold growth, although, acrylic carpets are being less used in today’s market because of their poor resilience. Polypropylene carpets can be found almost anywhere today. 8. Mold Resistant Caulk: On the market, this tends to be sold as “Mildew Proof” or “Mildew Resistant” caulk. Because mildew isn’t necessary the mold you see in your home, (See The Difference Between Mold and Mildew), we choose to call it Mold Resistant Caulk. Manufacturers like Dap® have introduced products like Kwik Seal Plus Adhesive Caulk with Miocroban®. The caulk is treated with fungicide so it helps prevent mold growth on the caulk as well as stains and odors. In addition, the caulk emits low VOCs. 9. Mold Resistant Sealant: Easily applied to wood, OSB, concrete, stucco, brick, tile, gypsum, and other surfaces in the home, mold resistant sealant is a protective coating that has been blended with anti-microbial chemicals. Mold resistant sealants come in either spray or non-spray forms. Brands like Fiberlock IAQ 6040 Mold Resistant Sealant® can be used on wood, OSB, wallboard, concrete and other construction materials to withstand the moist, humid conditions that provide the ideal environment for fungal growth. 10. Mold Resistant Shower Pan: A great alternative on the market is the Tile Redi Barrier Free Black Shower Floor®. Claiming to be the best water intrusion solution available, Tile Redi® produces a shower floor that is ready for tile and is set on the shower pan floor with epoxy. The product is leak free and mold resistant. Tile Redi® also states that no further waterproofing will be required with use of their product. While there are more products being manufactured to help resist mold growth, it is important to note that if there is a mold problem to begin with, the mold must be removed at its source. Nevertheless, mold resistant building materials provide great building blocks for a mold-free property and help prevent having to endure the process of mold removal. Especially when used in high-humidity and mildew-prone areas, mold resistant materials can significantly increase indoor air qualityas well as help maintain a mold-free environment. FrameGuard coating protects wood againast mold, fungal decay and termites. Established in 1949, Nu-Wool is a leading manufacturer of eco- friendly cellulose insulation. 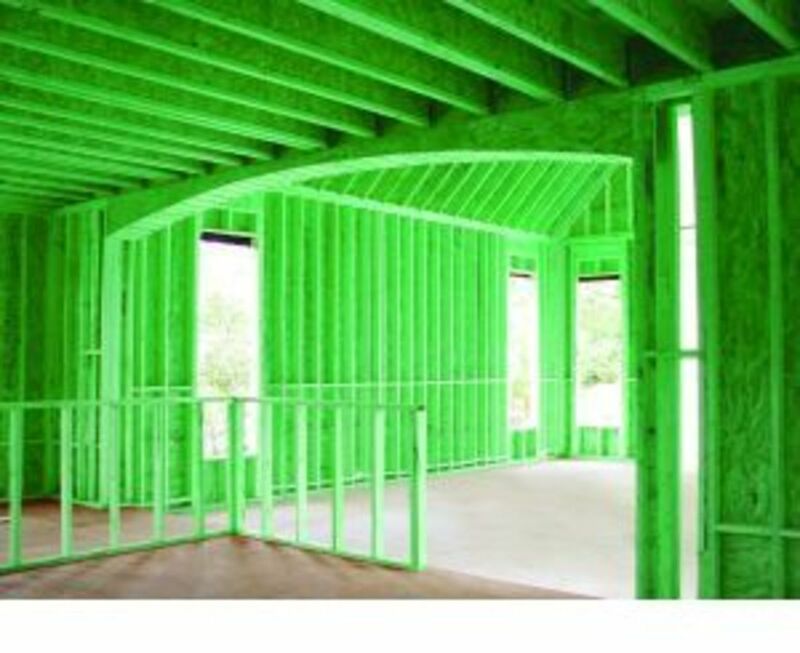 Superior in its performance, green in its manufacturing, and perfect for any residential or commercial construction. New Day Homes specializes in Mold Inspections in the Magnolia Texas area.